Replace your wornout floor mats with OEM BMW M6 Floor Mats. Are your M6 floor mats beginning to look worn-out, or just looking to spice up the interior of your 6 series? 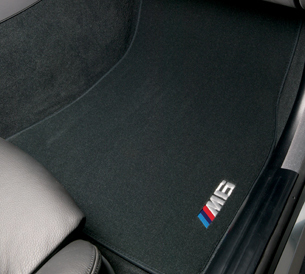 Look no further and change out your old mats to these OEM BMW M6 Floor Mats. These BMW M6 Floor Mats are 100% real OEM mats so perfect fitment on your E63 M6 or 6 series is guaranteed. They are available only available in black. The OEM BMW M6 Floor Mats are sold as a set of 4.